With the recently-released album I Still Believe making strong strides on the music charts (debuting at #3 on Top R&B/Hip-Hop Albums), Lyfe Jennings was sentenced to three years and six months this Wednesday in Cobb County, Georgia after facing felony charges stemming from 2008 involving a a high speed car chase. Charges included an attempt to elude and possession of a firearm by a convicted felon. StraightFromTheA.com broke the Cobb County, Ga. news, along with a mugshot pictorial revealing a bruised Jennings, back in 2008. 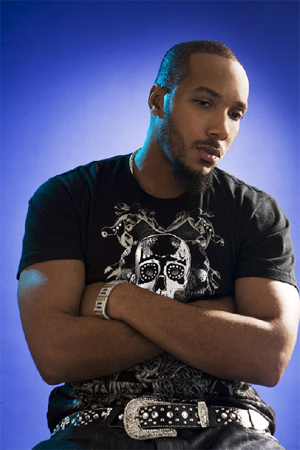 This devastating blow in Lyfe Jennings’ career arises while his new and promised final album, I Still Believe, debuts at #3 on the R&B/Hip-Hop Albums’ survey; selling well over 36,000 units. The album, released on his own imprint Jesus Swings, is his first to be released on Warner Bros. after releasing three albums for Columbia. His single, “Statistics,” sits at #19 this week on Billboard’s Hot R&B/Hip-Hop Songs. billboard, columbia, felony, lyfe jennings, warner bros.